Starting with the Spring 2018 season, Hudson Youth Soccer Association (HYSA) is partnering with the New England Revolution Academy to create soccer programs to develop our players to be the best they can be and to foster a love for the game! Beginning with Small Fry and Advanced Small Fry programs, players are coached in age-appropriate practices by experienced Revolution Academy coaches alongside volunteer parent coaches. 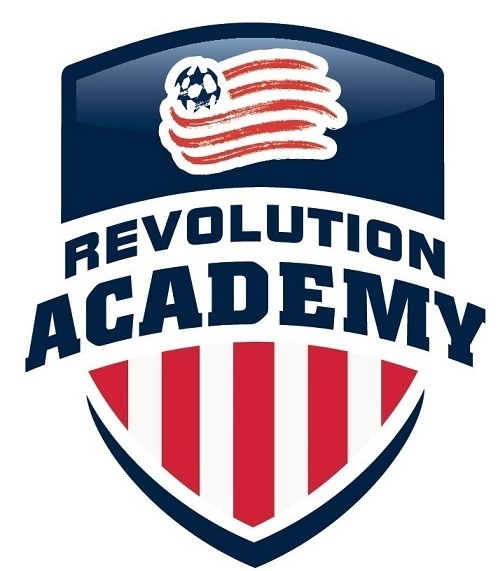 As players get older, programs consist of grade-based group practice nights with experienced Revolution Academy coaches alongside volunteer parent coaches, team specific practices with volunteer parent coaches, and skills days with experienced Revolution Academy coaches, all with curriculum developed by the Revolution Academy. As our partnership with the Revolution Academy evolves, older players will also have the opportunity to try out for Hudson Youth Soccer Academy teams. These teams will feature those players who not only exhibit superior soccer skills and knowledge, but also those who have a positive attitude, always focusing on personal and team sportsmanship. The Revolution Academy fosters player development by providing programs to enhance player mastery of skills and techniques and to promote player awareness and insight into the game. The Revolution Academy has designed age-appropriate, challenging, and innovative skills-specific curriculums for all programs, encouraging a higher level of player confidence that builds enthusiasm, passion, and a continued love for the game of soccer. The Revolution Academy also provides coach education sessions. The goals of the Revolution Academy are to educate, connect, and inspire its partner organizations, including coaching and educating players, parents, coaches, and organizations in a challenging, competitive, fun, and professional environment; connecting the Revolution brand with the Hudson Youth Soccer brand and developing an understanding of the connection with the Revolution as a club; and inspiring all players and organizations to be the best they can be. The grade-based, group practice night format allows players and volunteer parent coaches to work with experienced Revolution Academy coaches each week during the season. All teams from each age group meet on a regularly scheduled group practice night at the same location and time and follow the same player development plans during the season. The group practice format provides consistency among teams and ensures that each player is provided the same level of instruction and technique. Although players may progress at different rates, all players will follow the same development path. Age-appropriate, weekly practice sessions are the same for all teams in each age group and are based on curriculum created by the Revolution Academy providing a common training progression for all players. This has numerous benefits as every volunteer parent coach will be equipped with the Revolution Academy session plans for team-specific practices from which they will learn to emphasize individual development and technique and team play over winning. The group practice nights also allow more effective assessment of player abilities within an age group, which benefits players and coaches at the time of player evaluations and team placements. As players move from grade group to grade group, they will build upon the Revolution Academy progressive training program creating long term development progress for all players to be the best they can be! In addition to weekly grade-based group practices with experienced Revolution Academy coaches and weekly team-specific practices with volunteer parent coaches, Hudson Youth Soccer is pleased to also provide in partnership with the Revolution Academy weekly skills training during the season for all of our grade groups. The clinics will focus on fundamental soccer skills, such as dribbling, passing, and receiving; attacking, defending and transitioning; playing under pressure; goal-scoring; goalkeeping; and much more. All skills training is included in the player registration fee. We have (7) grade-based soccer programs, please click the buttons to learn more about each one and review the schedule below of all practices, skill sessions and games for each age group. Combined sessions for boys and girls in pre-school who generally are 4 years old as of August 31 of the fall season. Combined sessions for boys and girls in kindergarten who generally are 5 years old as of August 31 of the fall season. Separate sessions for boys and girls in 1st and 2nd grade who generally are 6 to 7 years old as of August 31st of the fall season. Separate programs for boys and girls in 3rd and 4th grade who generally are 8 to 9 years old as of August 31st of the fall season. Separate programs for boys and girls in 5th and 6th grade who generally are 10 to 11 years old as of August 31st of the fall season. Separate programs for boys and girls in 7th and 8th grade who generally are 12 to 13 years old as of August 31st of the fall season. Separate or co-ed programs for boys and girls in 9th thru 12th grade who generally are 14 to 18 years old as of August 31st of the fall season. Winter Futsal runs from December to April for age groups Advanced Small Fry and above. Locations and times are TBD.